Since websites consist primarily of content it’s important to get it right. You need to know how you will use content to reach your goals. At MonkDev we’ve found the best way to achieve results is through a content strategy. This strategy addresses the complex series of issues created by the sheer quantity of content produced by churches. Since websites consist primarily of content it’s important to get it right. You need to know how you will use content to reach your goals. 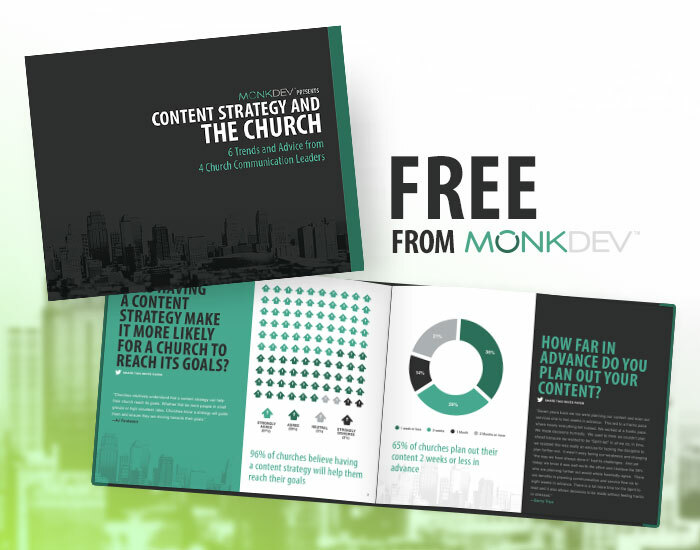 At MonkDev we’ve found the best way to achieve results is through a content strategy. This strategy addresses the complex series of issues created by the sheer quantity of content produced by churches.